The quick summary on the book promo is the first thing that grabbed me about this one. While I’ve never trekked through Nicaragua, I have through Colombia, Kenya, Rwanda, Malawi, India, and a few other places where mosquito nets are the way of life and running water is a luxury for most citizens. I wanted to see if Annie was portrayed as one of those “volun-tourists” that I have worked with, so I clicked to download. This is a debut novel, so I know nothing about the author, and I admit I went into it with skepticism. I’ve sat with so many folks over my years of travel who simply couldn’t handle the dissonance of being born into privilege and experiencing a different version of life. The folks who insist on pouring Purell all over themselves at dinner with indigenous folks, shaming the indigenous folks beyond belief and doing so obliviously. The college students who refuse to do anything but take selfies with small children to post on Facebook but refuse to really engage in other ways. In other words, I’ve met and traveled with a whole host of folks who Felipe hates. But I’ve also been with and have myself been Annie. The people who, as a proverb I once heard in Rwanda says, get close enough to the groaning pains of the Earth to groan along. The ones who learn they can fix very little systemically, but can love wholeheartedly. The people who are forever changed because they dared to head out of their normal and embrace a new one. Annie’s experiences brought back so many memories, both fond and hard, and I found myself proud that she was one of the American cultural ambassadors to that part of the world. I really dug this book. I enjoyed Felipe and Annie as a couple, but I more enjoyed reading their inner journeys rather than their couple journey. The happily-ever-after which I require to consider this a romance was a little fast and dirty (would have loved the epilogue to be the last chapter and an epilogue a few years out to really see them settled since the resolution of their story comes very very close to the end of the book) for my particular tastes. However, it’s there and it works. 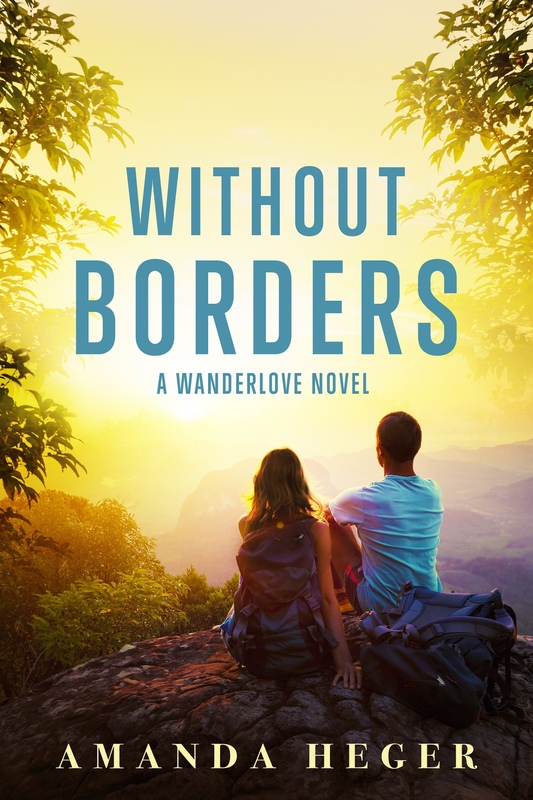 Without Borders, though, is as much a book about self-discovery as it is about romance. Whether you’re here for how Heger does the HEA or not, I think this book is a solid win and an excellent debut. I hope, in fact, that we read more about Felipe and Annie, or even about the clinic where this work is based. I’m not quite ready to let go of them yet – they feel too real and too familiar. Recommended for anyone who likes to read books that show process or show them a world unlike their own. For my learner self, the scene where Annie assists a childbirth is worth the price of admission alone and I think other folks would agree. Read this one with a tall glass of iced tea to cool yourself down as you tromp through the jungle with the medical crew. This book’s further reading is all organizations who do work similar to Felipe’s – those who risk life and limb to be able to provide medical care to those whose countries lack infrastructure to provide it. If you have interest/time/a few extra dollars, these are all worth your time, energy, and attention. I was provided with a copy of this book by Tasty Book Tours in exchange for a fair review. This post is a participant in the Without Borders blog tour.